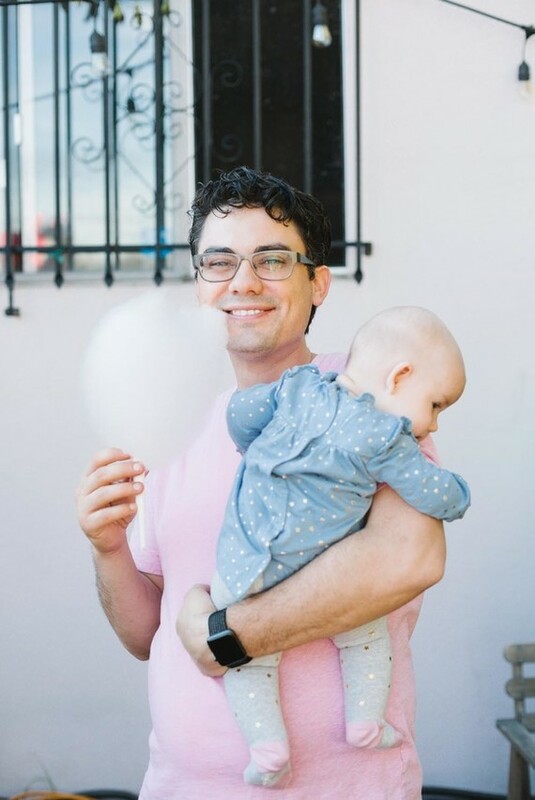 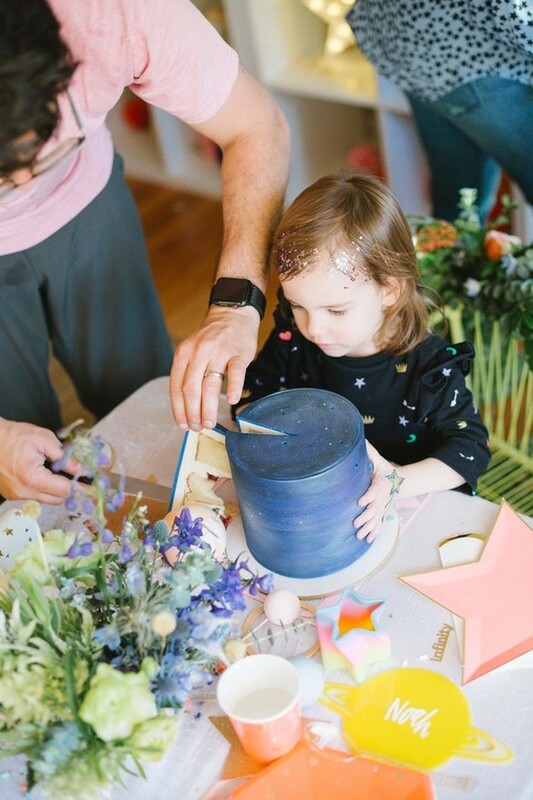 K, who here has predictions on the biggest kids birthday trends of 2019?! 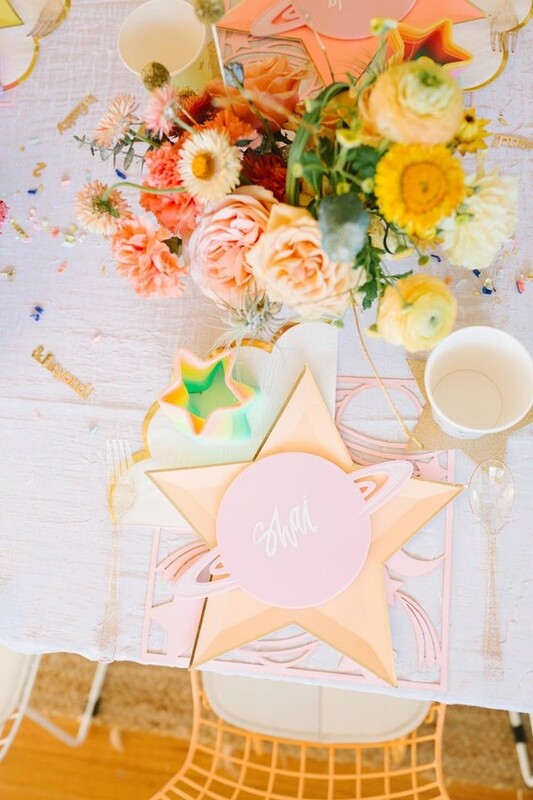 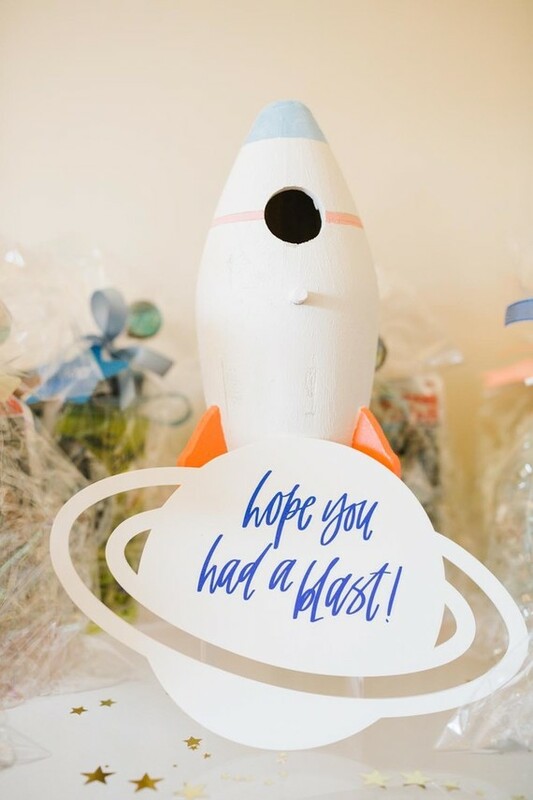 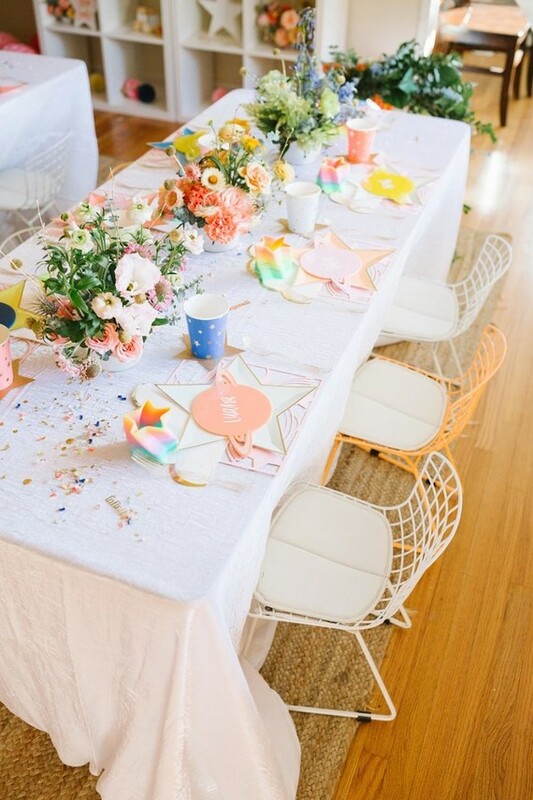 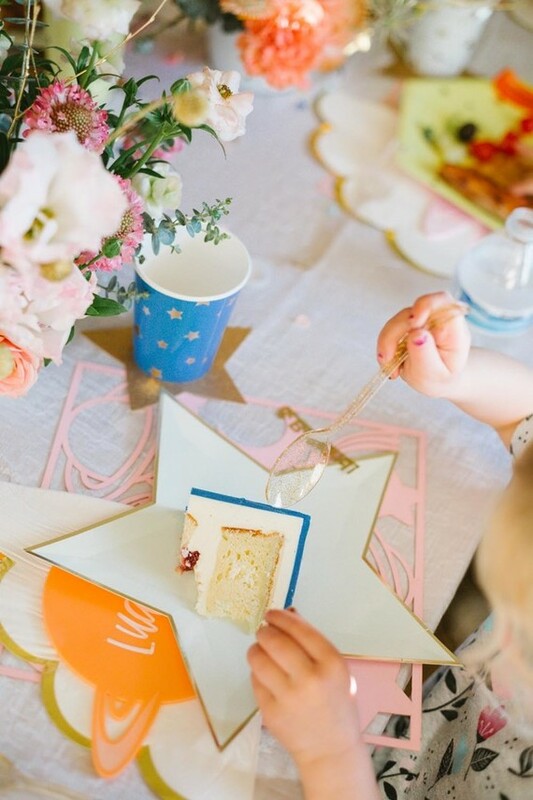 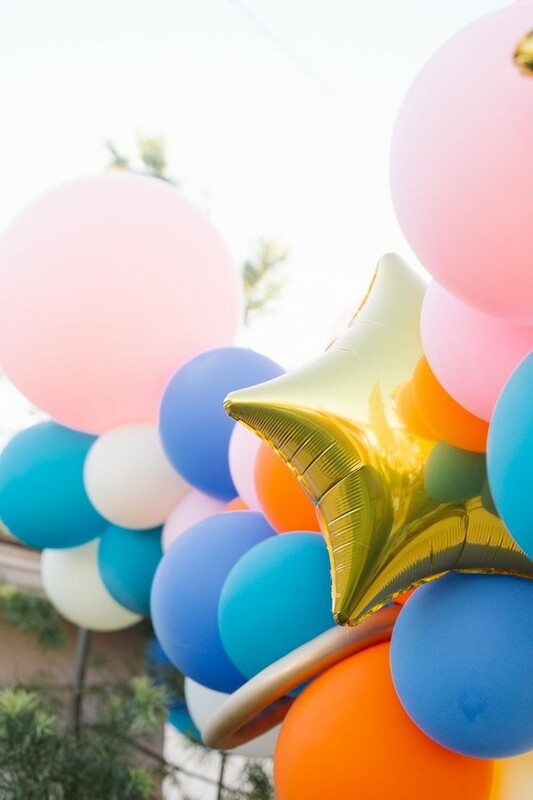 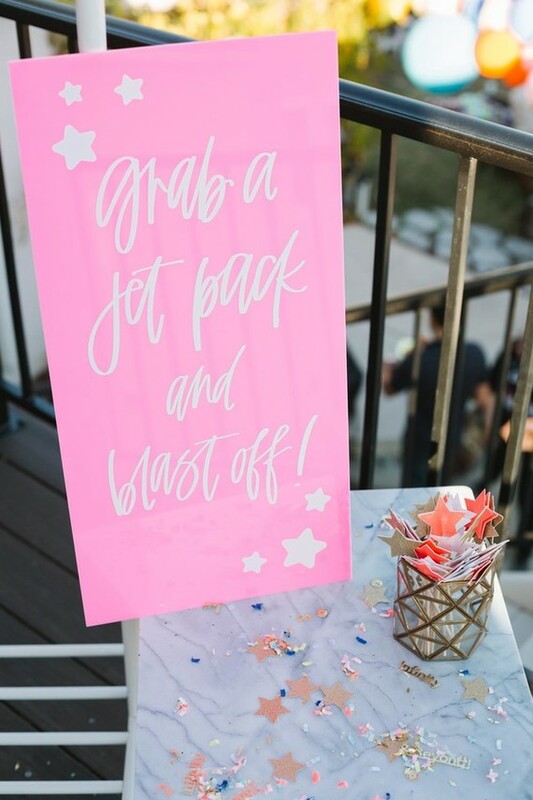 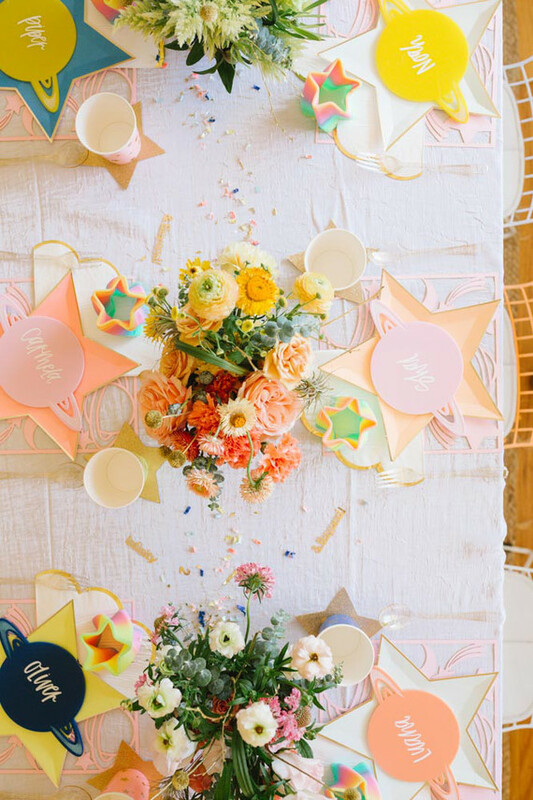 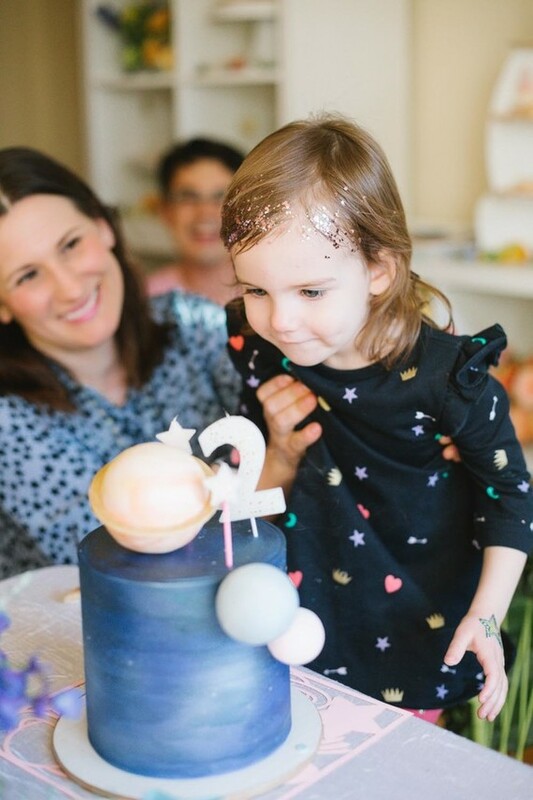 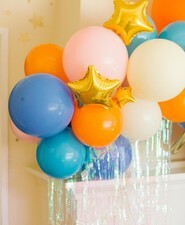 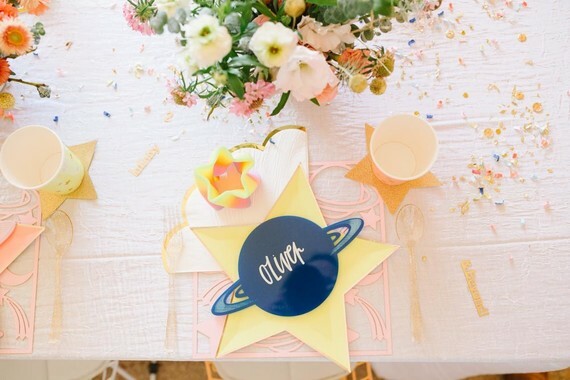 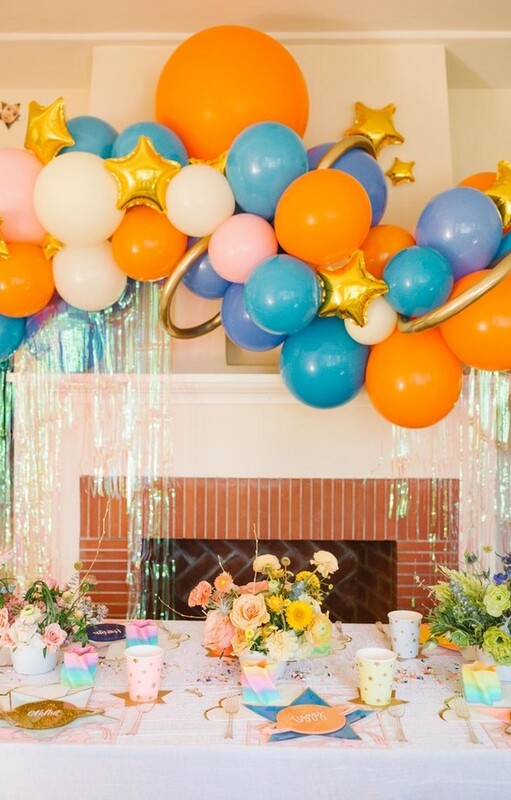 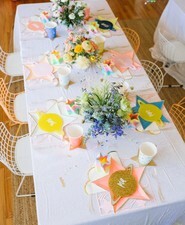 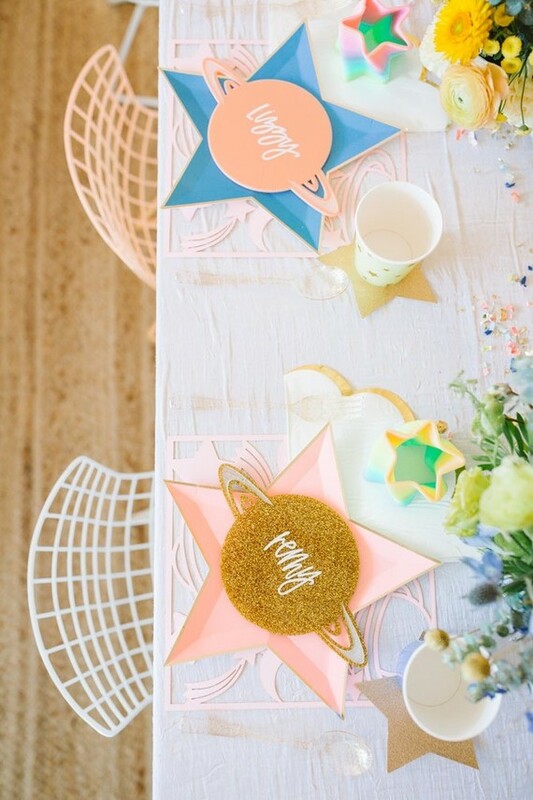 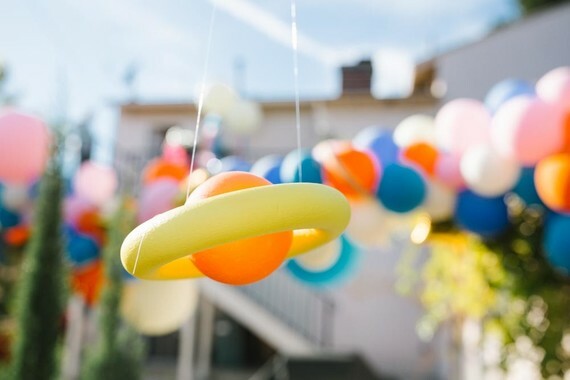 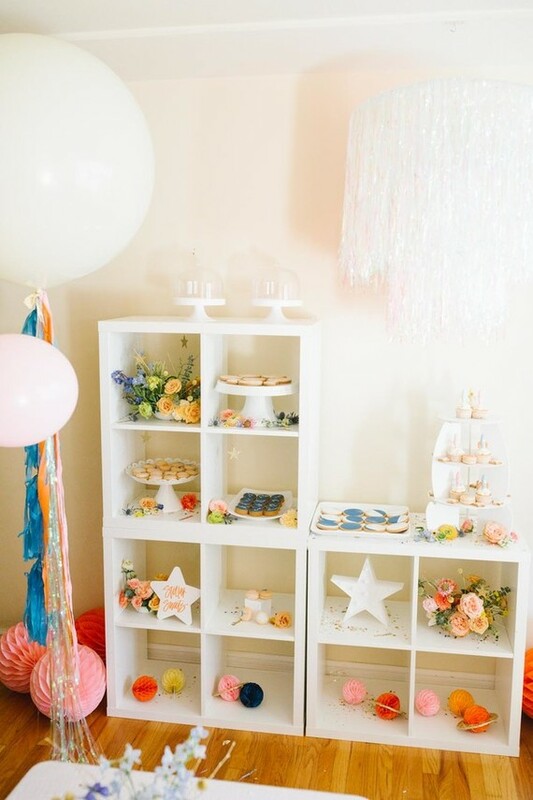 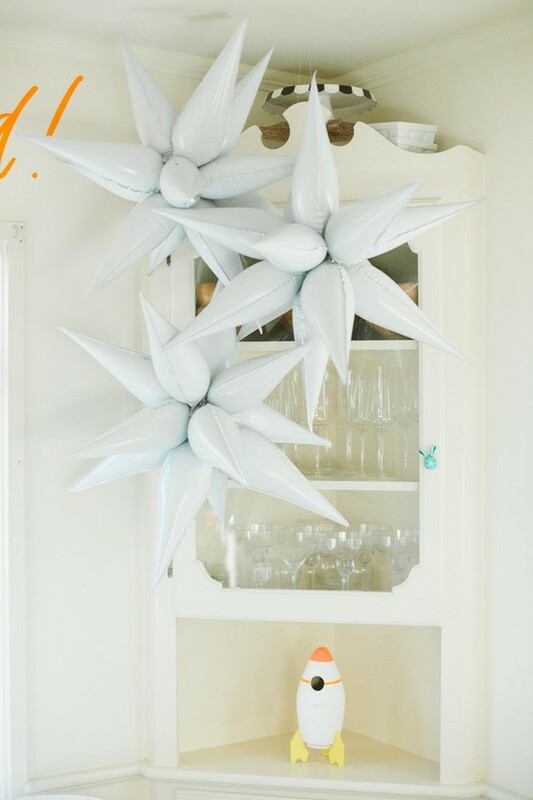 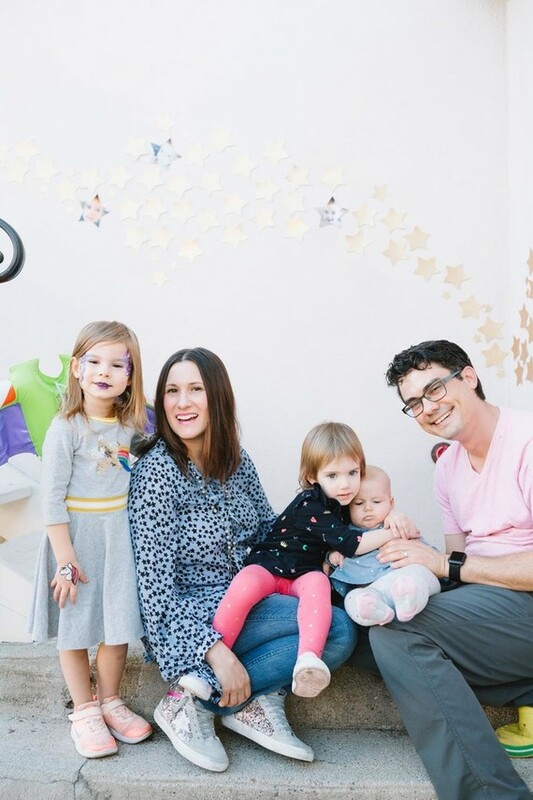 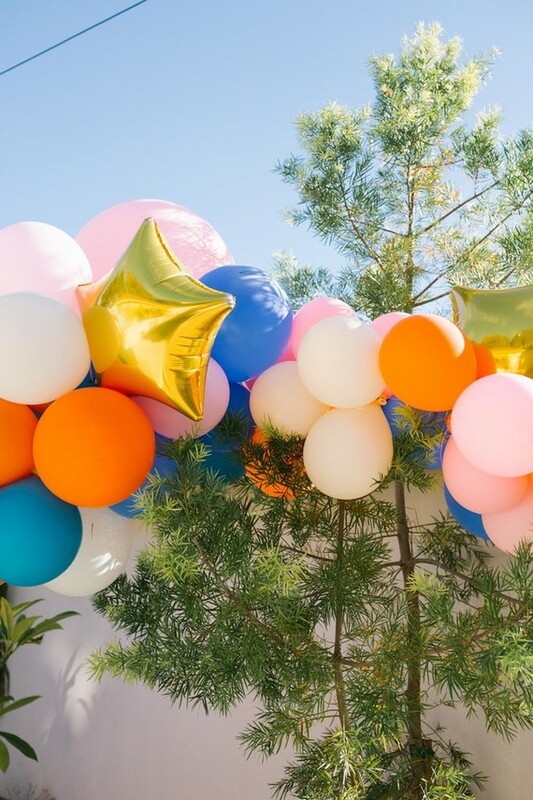 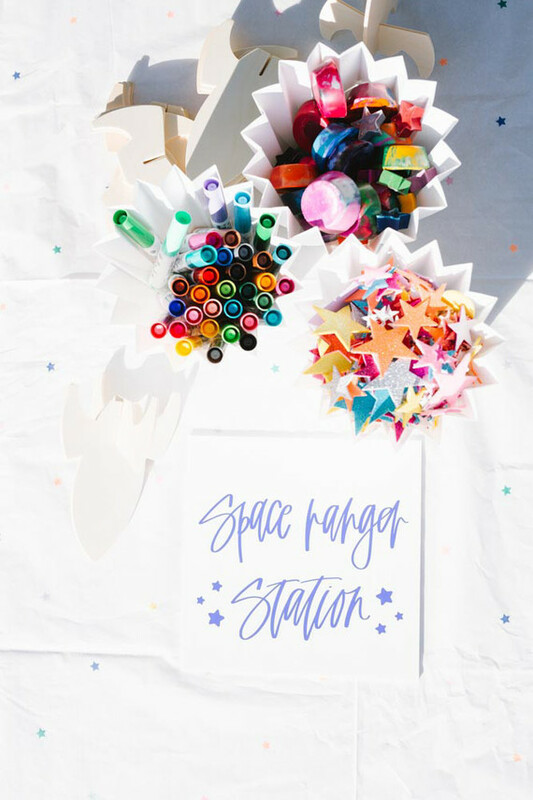 Who knows what festivities the future holds, but after perusing this space-themed girl’s birthday party by Alison Bernier, we know it’ll for sure have balloons and sparkle. 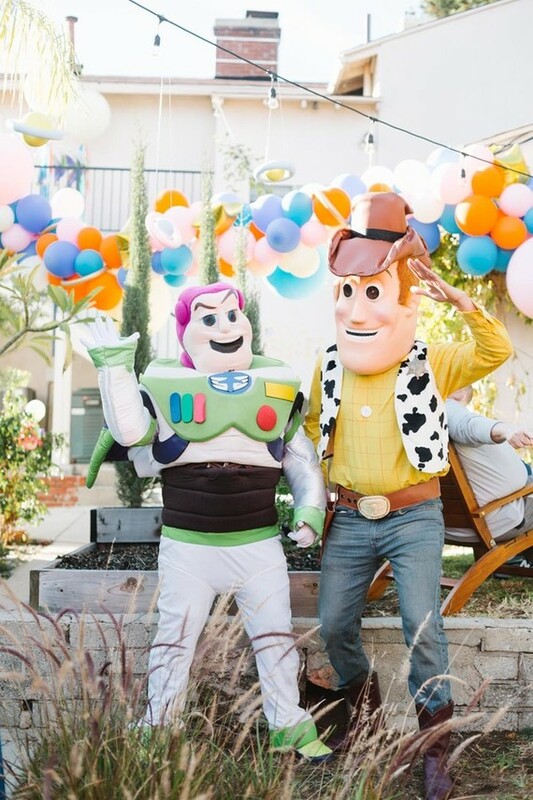 And of course, a fresh, modern take on a super classic theme, like Toy Story—Pia’s fave. 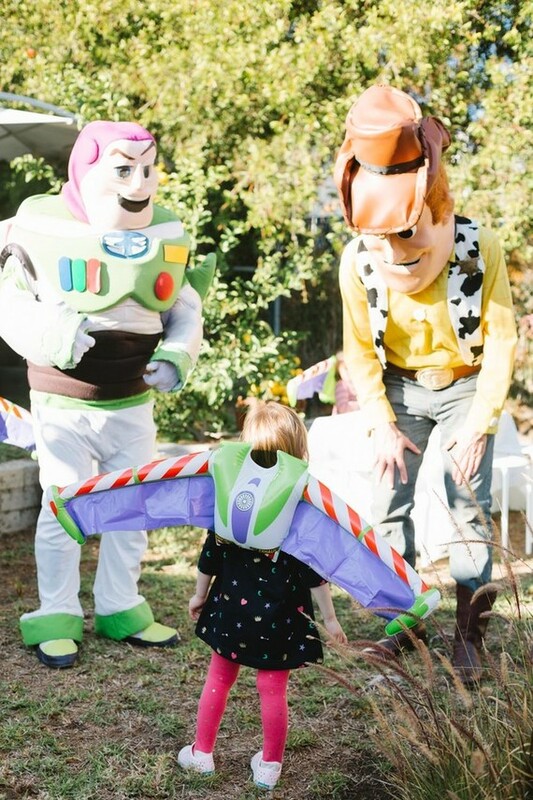 Pia is Buzz Lightyear’s #1 fan. 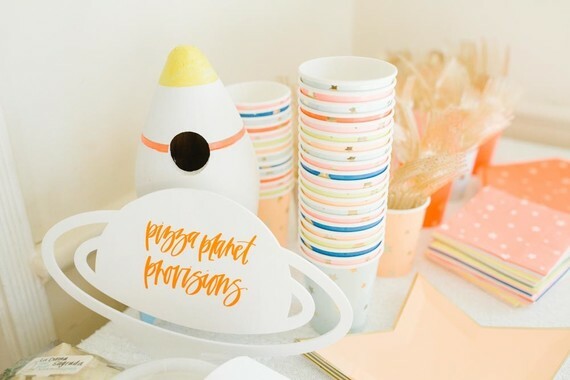 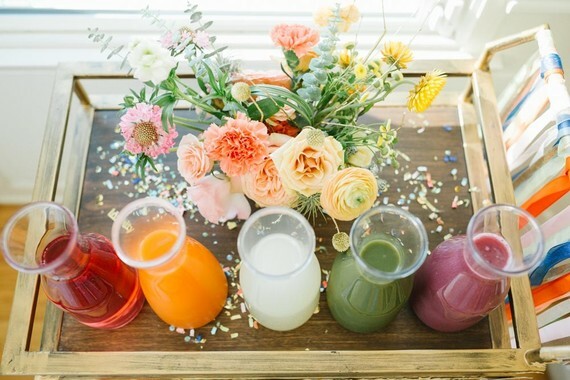 But since traditional space-themed color palettes don’t really rep her playful, outgoing personality, Mama Kristen Dimond incorporated more cheerful hues. 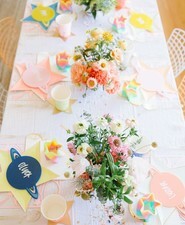 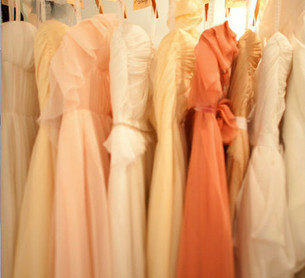 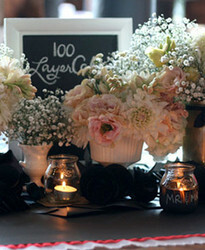 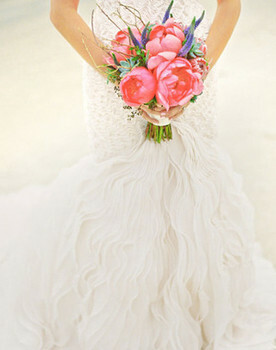 Springy ombre flowers, yes please. 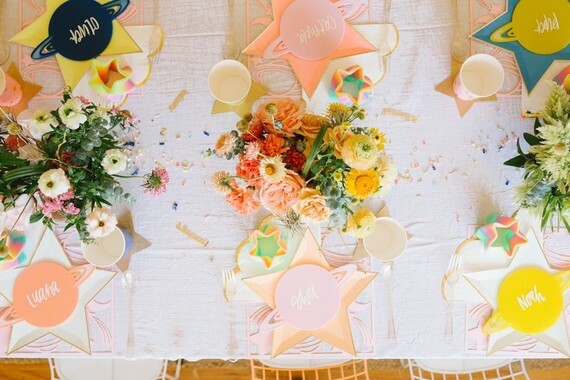 Softening the color palette was easy with Meri Meri’s Jazzy Star collection. 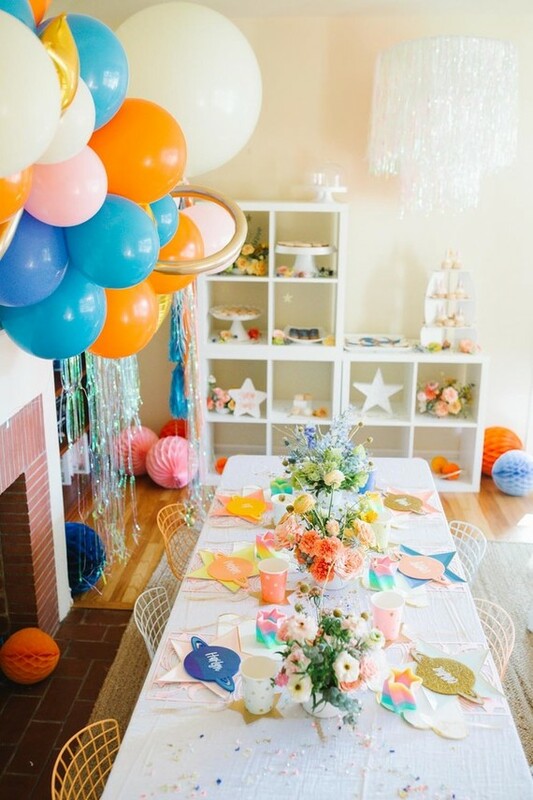 Sweets and stars and glitter chandeliers, triple check. 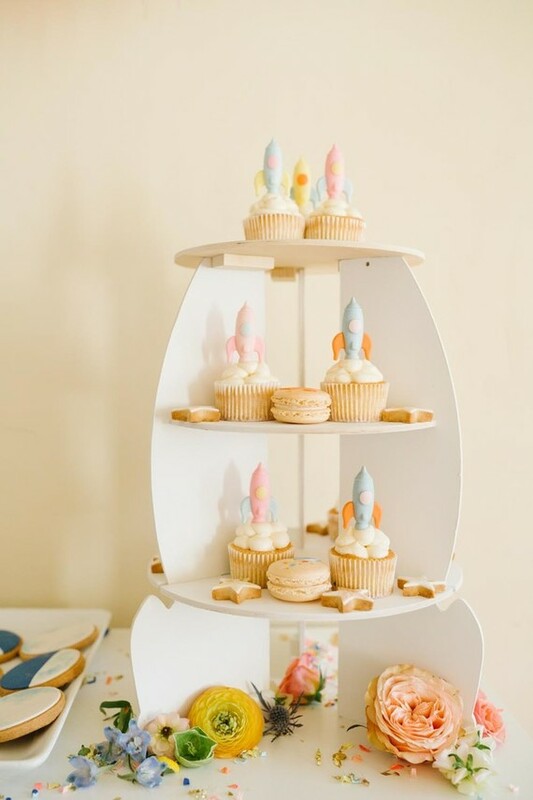 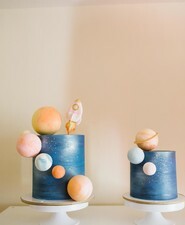 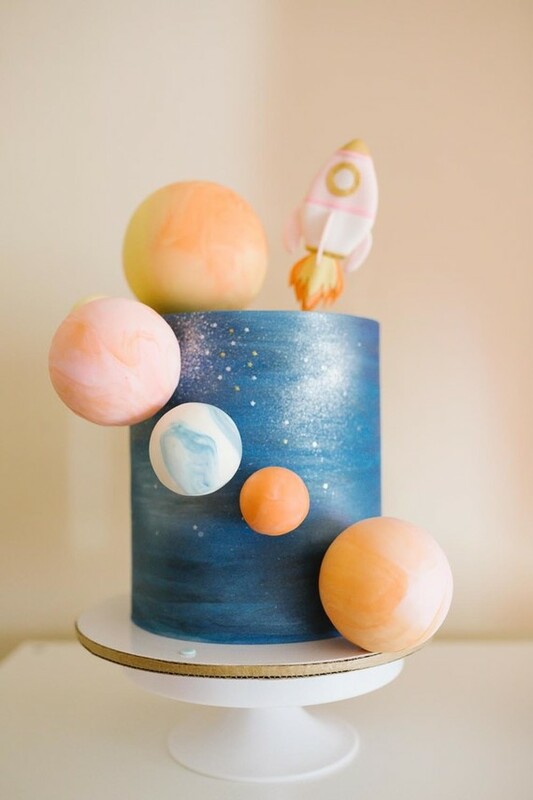 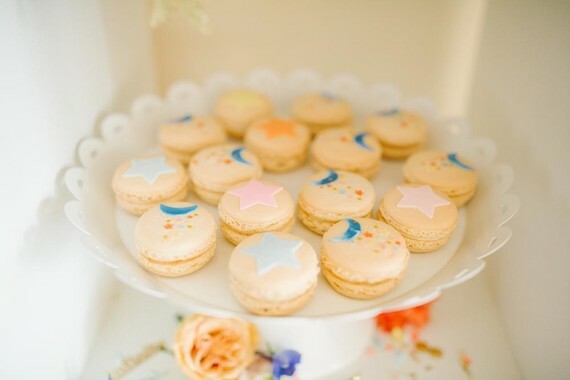 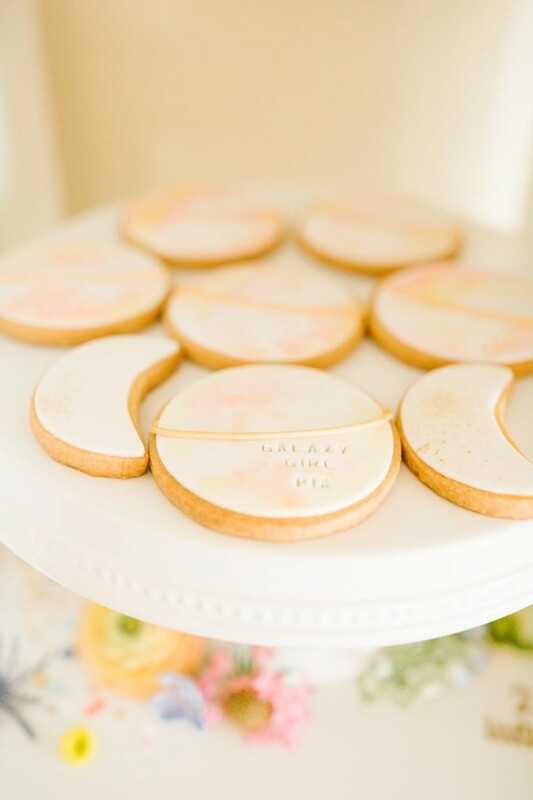 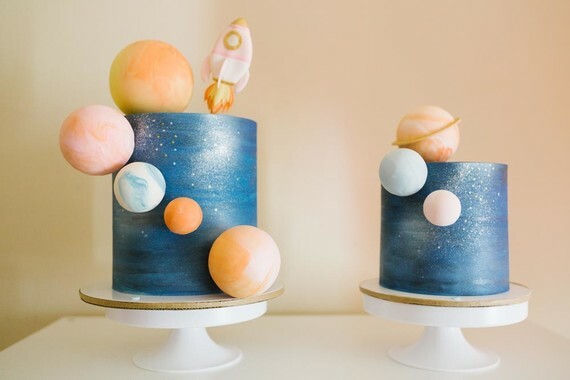 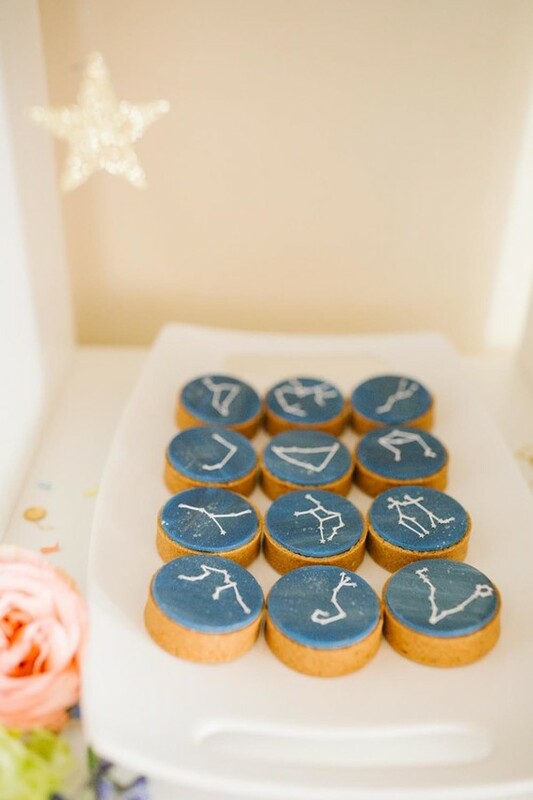 Jen Tee Bakes created the perfect space-themed desserts. 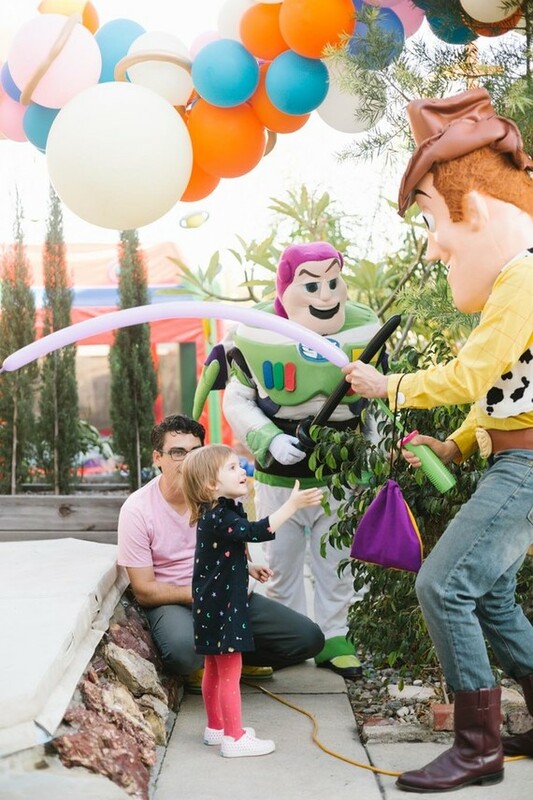 The kids went outside for a decorate-your-own-rocket space ranger station and fun in the Toy Story themed bouncy house. 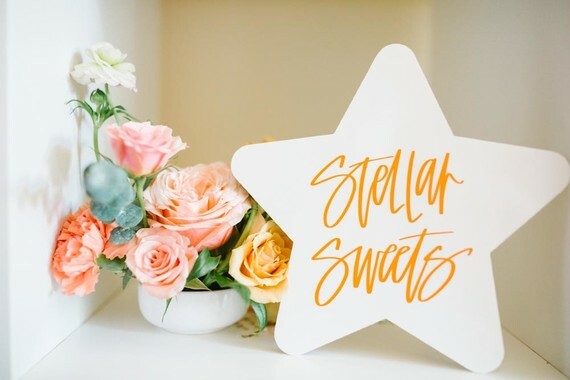 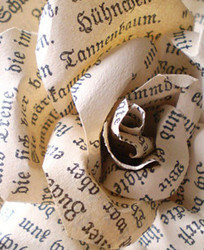 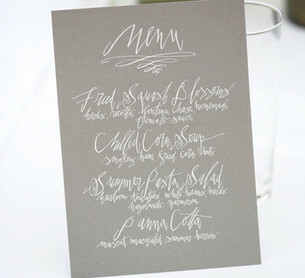 Cutest signs from Double Dipped Calligraphy. 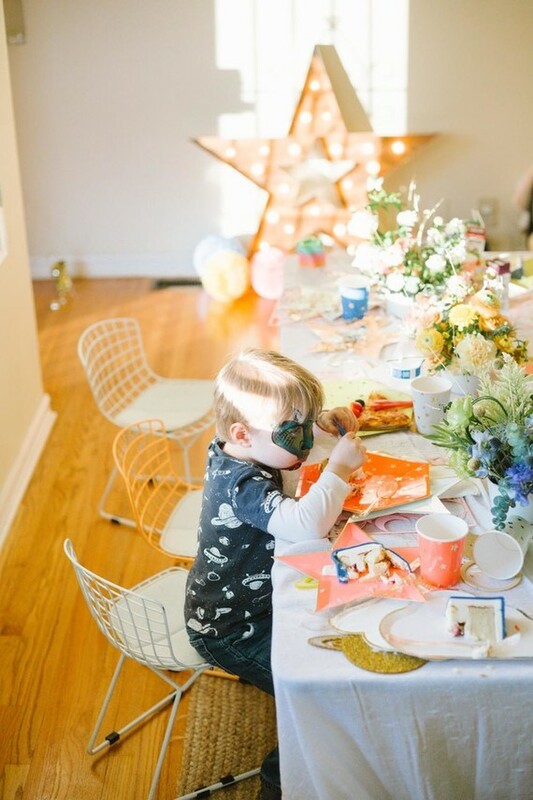 SoCal friends, don’t forget to enlist OC Face Paint for your kiddo parties. 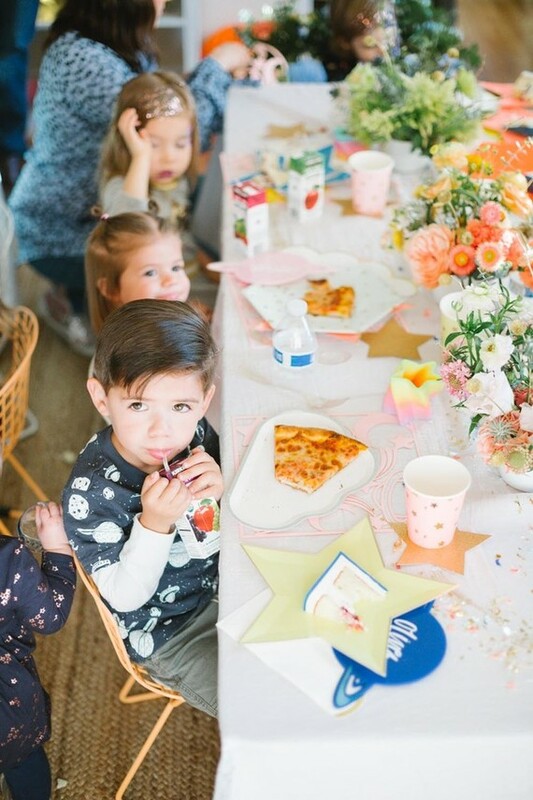 Pia and her sisters and their pals had a fabulous day. 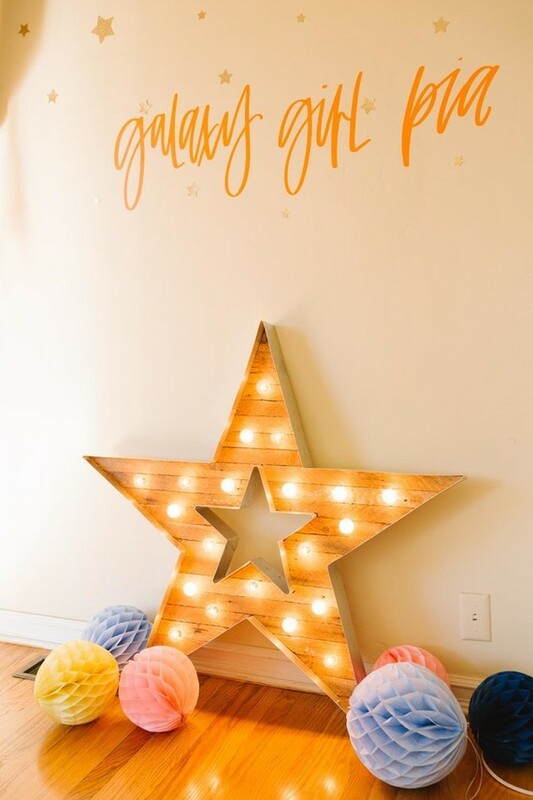 See more in our gallery, below!